With a hope that your happiness forever stays. 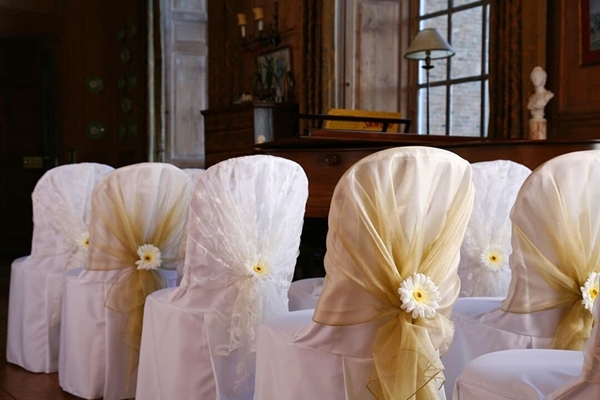 The wedding is not just about two people binding together their souls for forever and happily ever after. It is also about the people who wish the best for those two souls and celebrate their union. 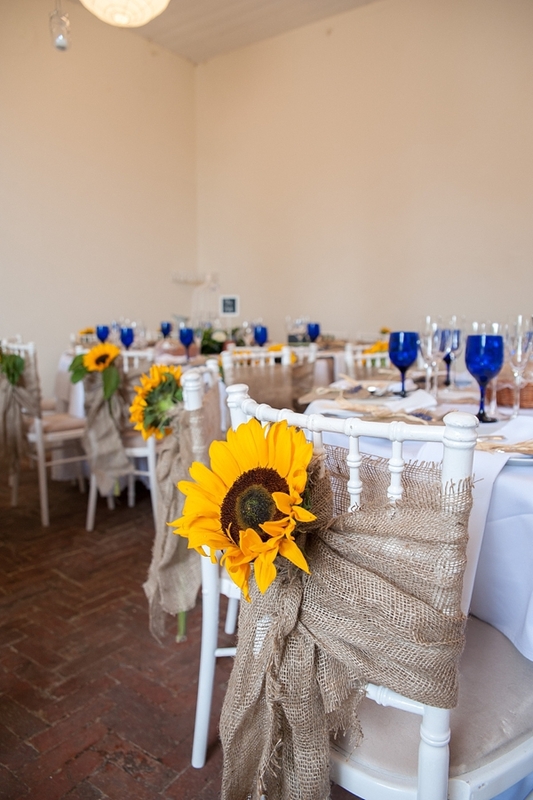 A wedding takes a lot of preparations and it’s so not easy but the end result is definitely worth it. 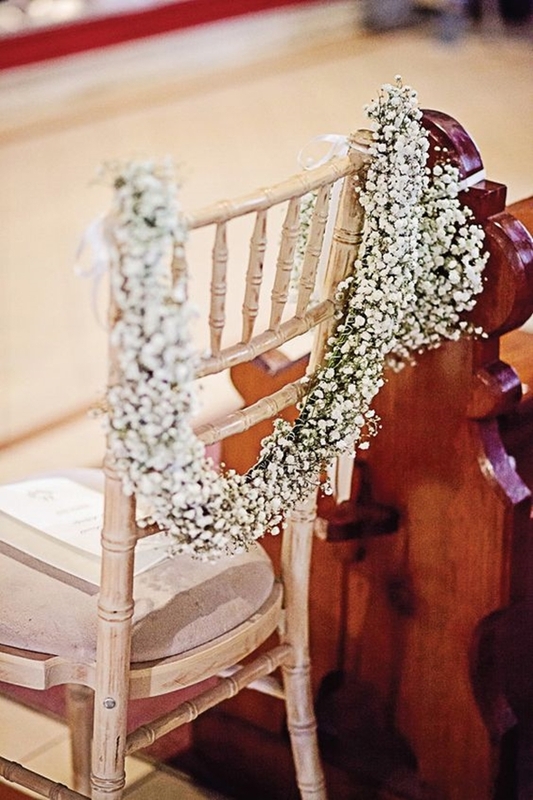 While there are many other things, the one thing that we will talk about today is wedding chairs. 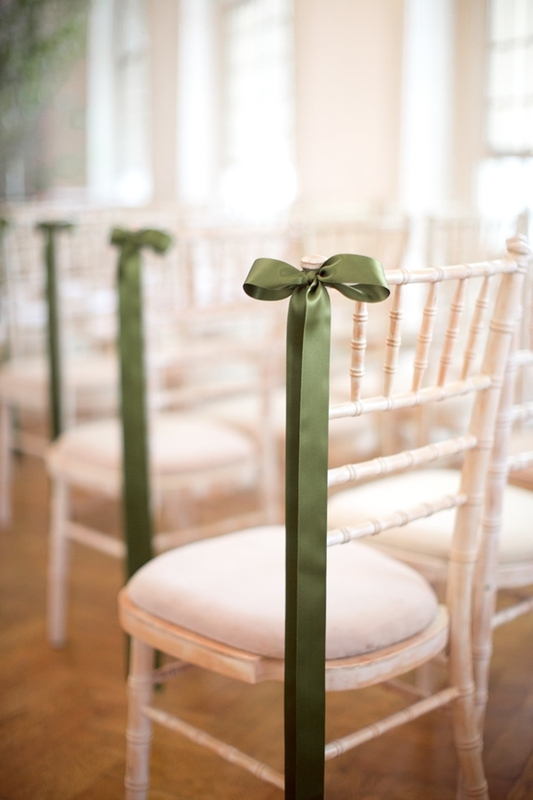 The wedding chairs take up a lot of room no matter where the wedding is taking place. 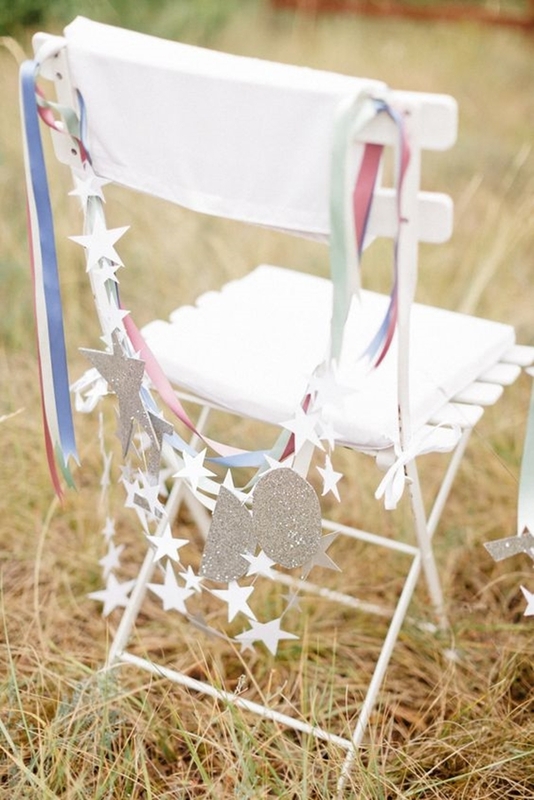 Here are some of Magical Wedding Chair Decoration Ideas that will leave guests amazed. 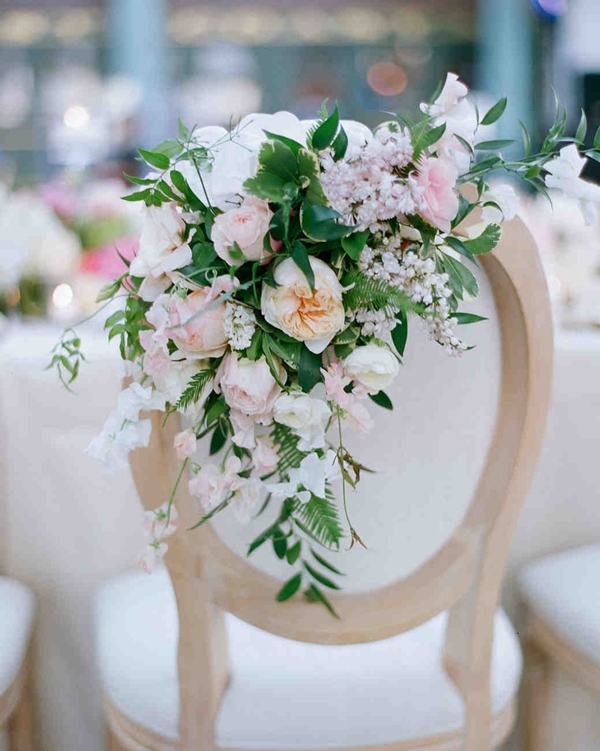 Your wedding chairs would make a lot of impact on your big day. 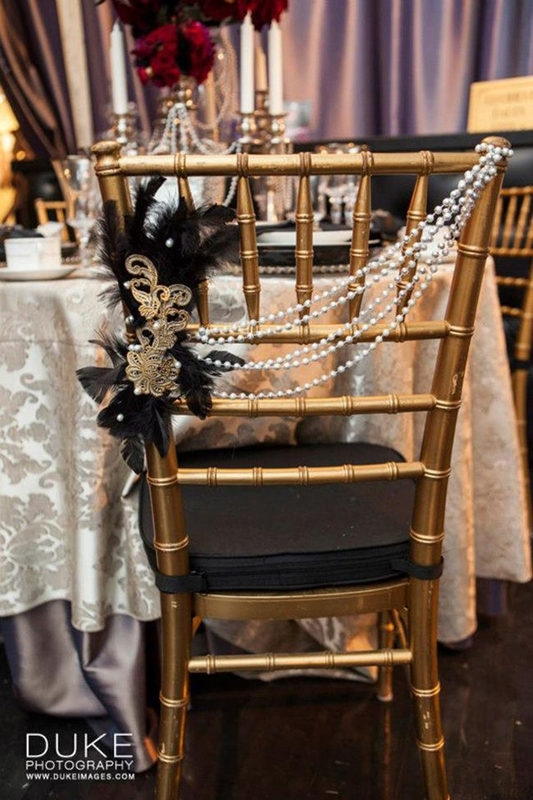 The theme and the surrounding décor will be considered while taking care of the chairs. 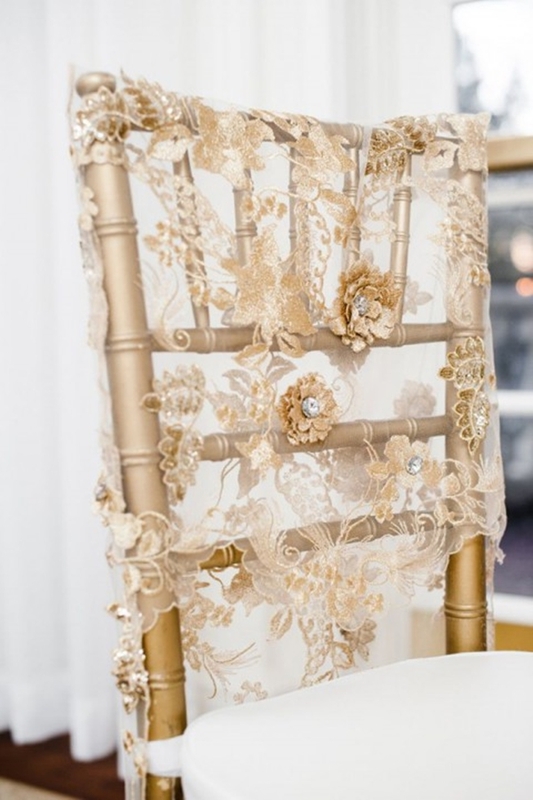 From lace to satin and flowers to foliage, there are lots of many options that you could opt for when it comes to decorating your wedding chairs. 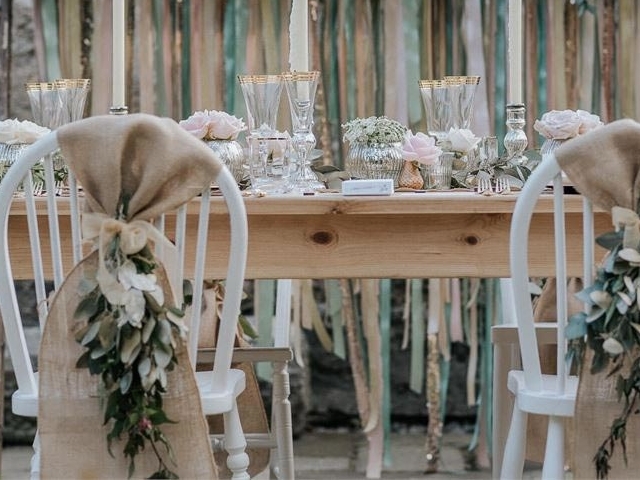 You might also want to take a look at these beautiful wedding table decorations as well. 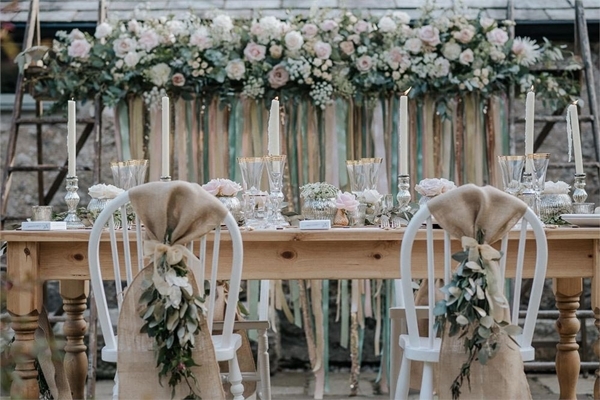 Wedding demands a view that looks like a scene that has come alive from one of the pages of fairy tales. 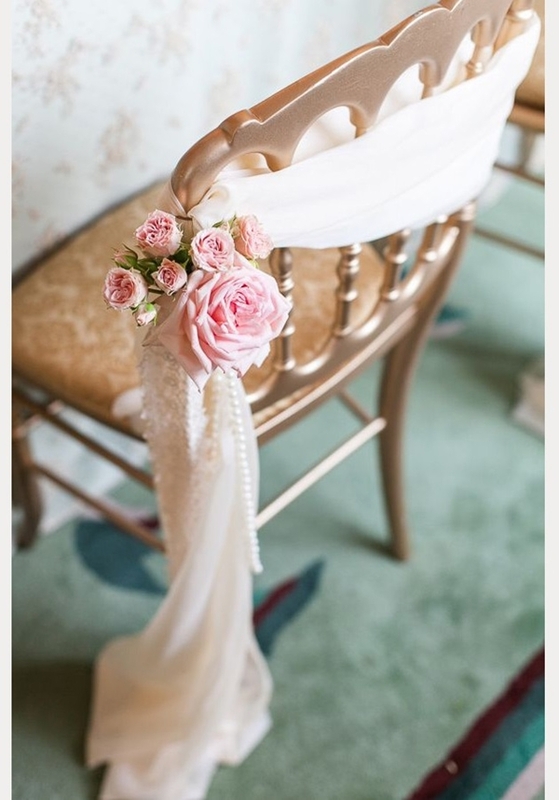 Look like a princess with these gorgeous wedding hairstyles. Flowers and lots of flowers that will spread the sweet fragrance everywhere in the air are a must. 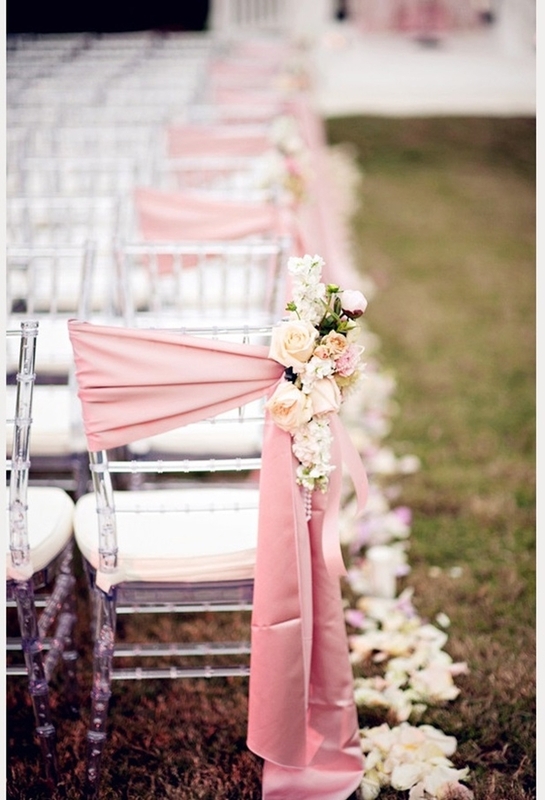 So it would only be fair if you drape your wedding chairs with the fresh flowers as well. The choice of flowers will definitely be yours. You must also be looking for a great photographer who will capture these special moments of yours. Here we will tell you how to find one. 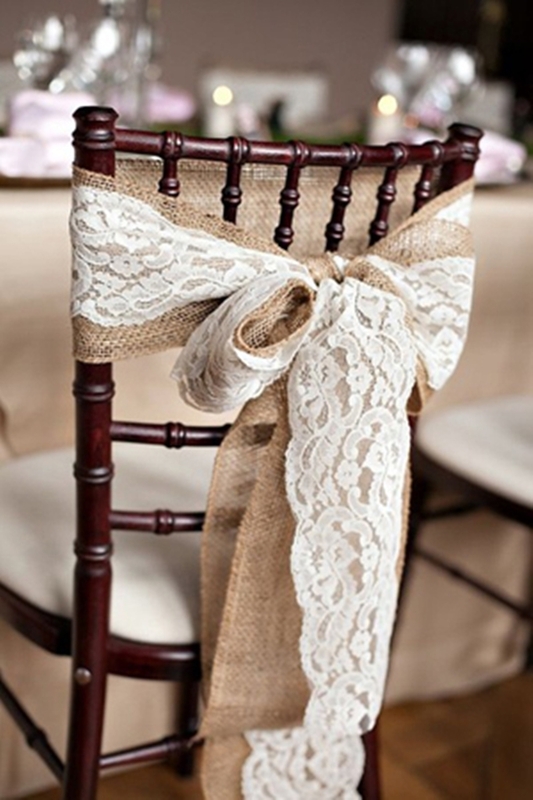 For a rustic theme, burlap will be a great choice to drape around the wedding chairs. Add something like a sunflower with it and it looks mighty fine. 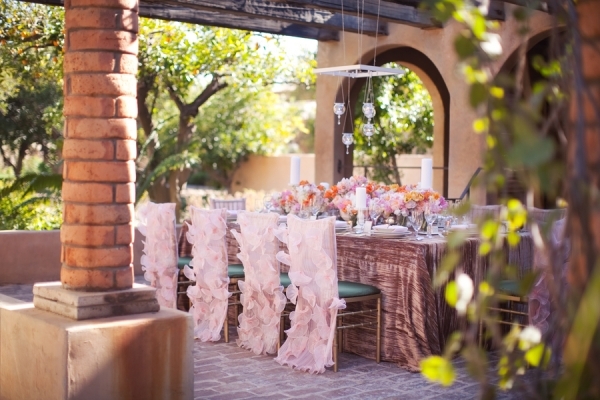 Or you can try burlap and lace fusion with a floral touch. 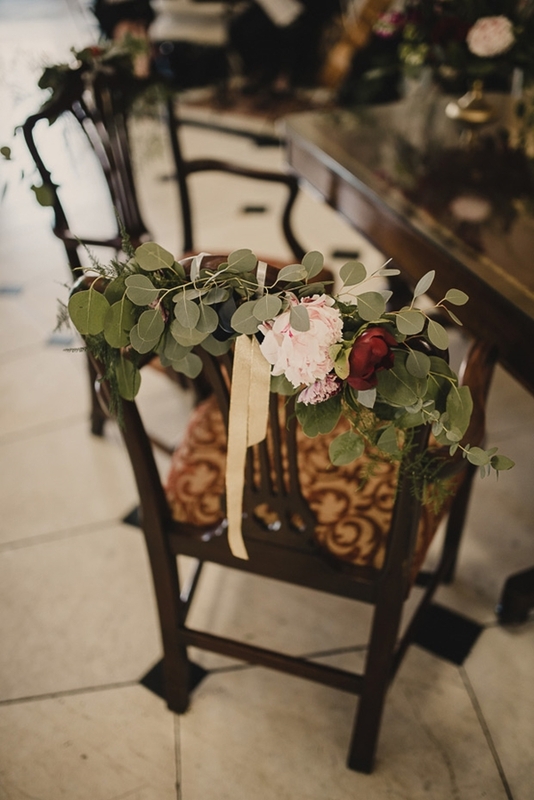 Try these lovely wedding hairstyles for your long hair and give them a floral touch as well. I think this one is my favourite. 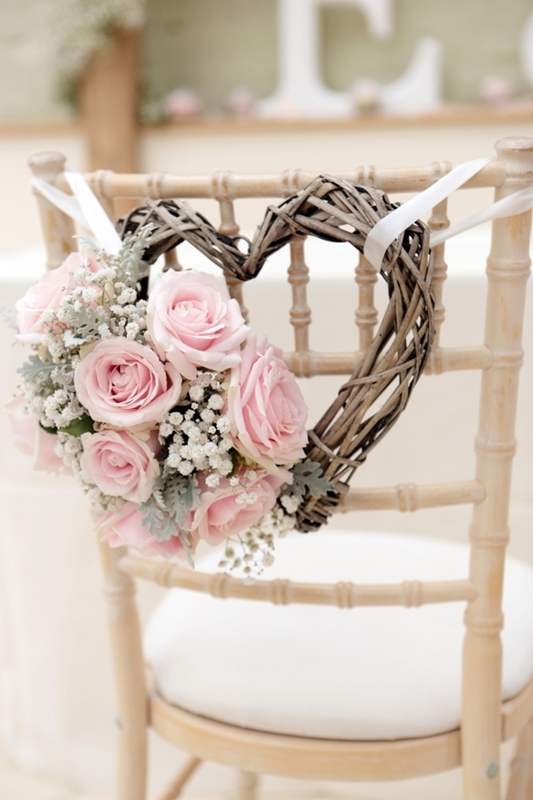 The wreath looks so beautiful while adorning the chair in a lovely heart shape. 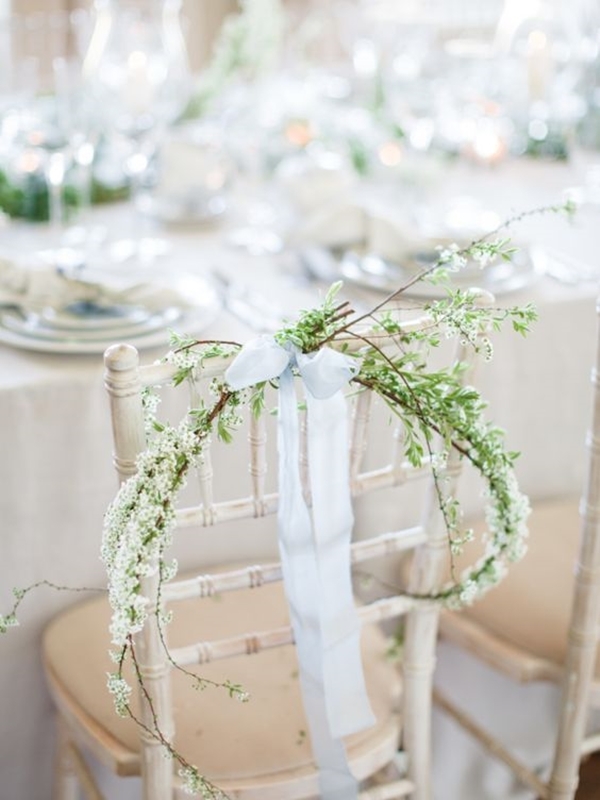 The delicate blossoms entwined together adds more romantic feeling in the air. Just like these romantic pictures will steal your heart. 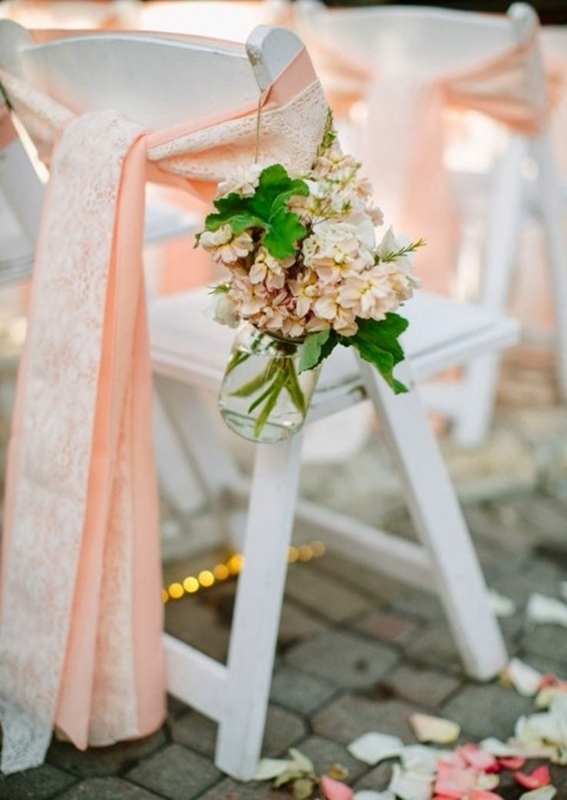 There’s just something different and elegant about lace, isn’t it? 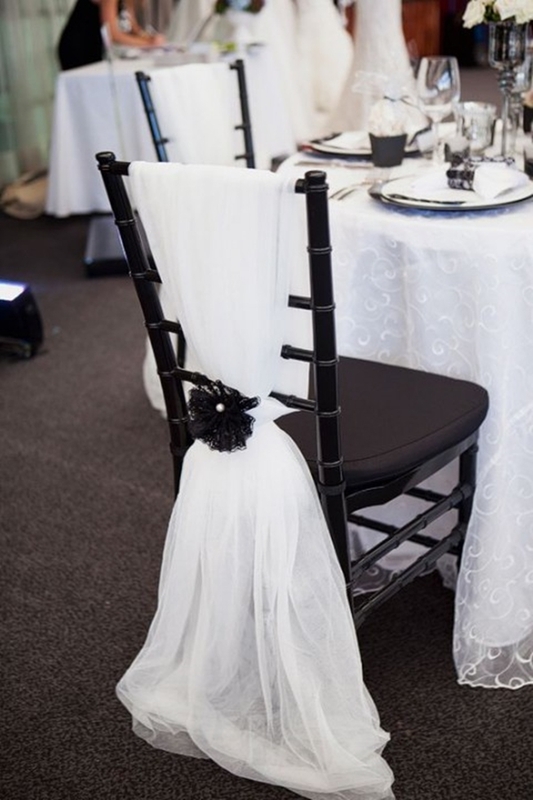 Wrap the wedding chairs with nothing but simple lace fabric and that’s all. The intricate pattern of the fabric would suffice. 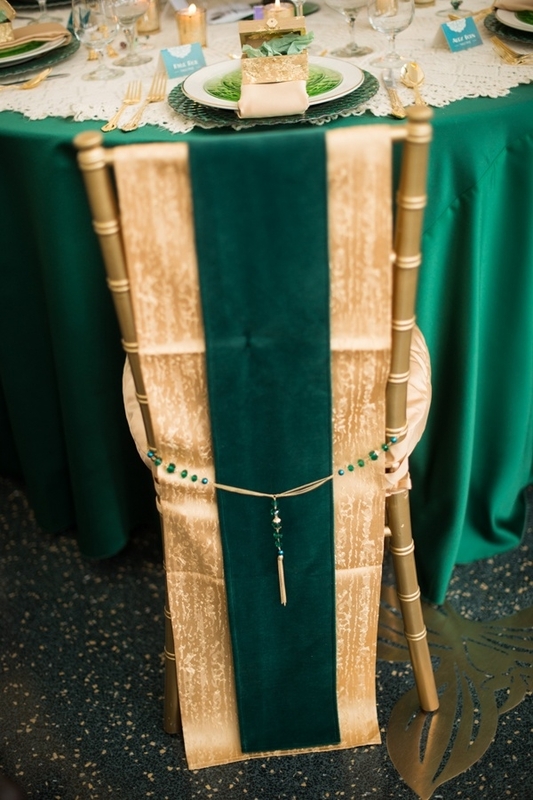 You can follow a pattern by draping alternate chairs with the fabric. That way, there won’t be deep holes in your budget. 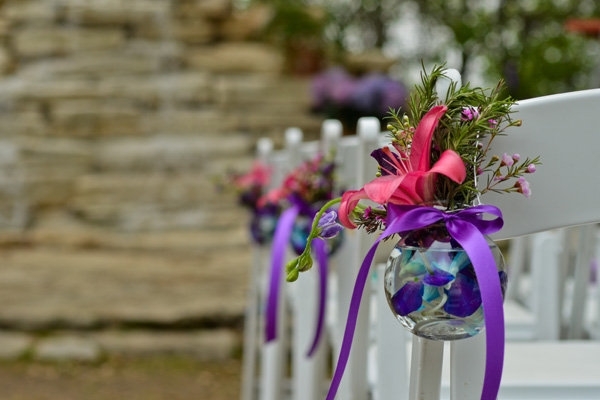 Here are some great ideas to make a beautiful wedding guests book. 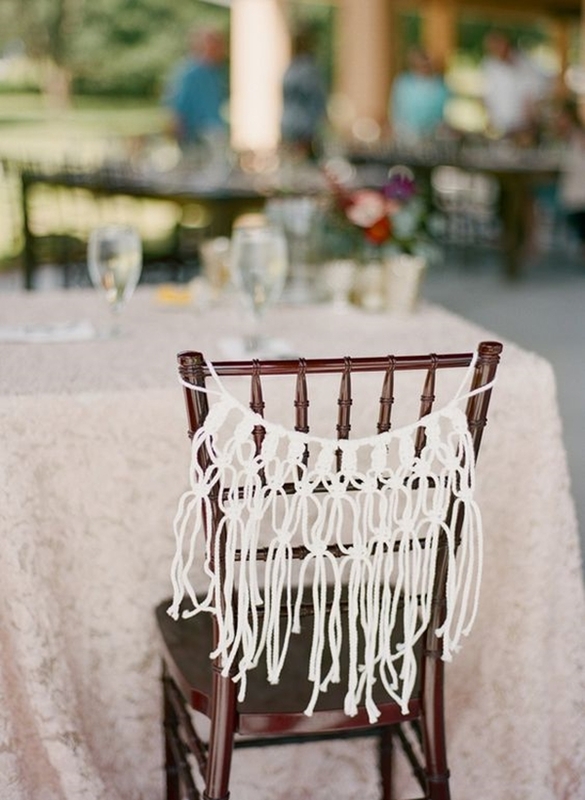 Who would have thought that you could use the mason jars to decorate the wedding chairs? 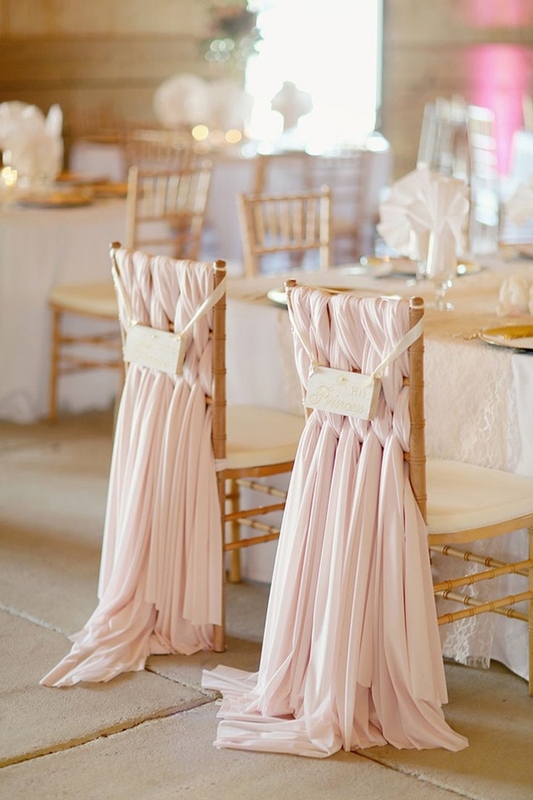 Here is a lovely example of using mason jars as a décor item for the wedding chairs. 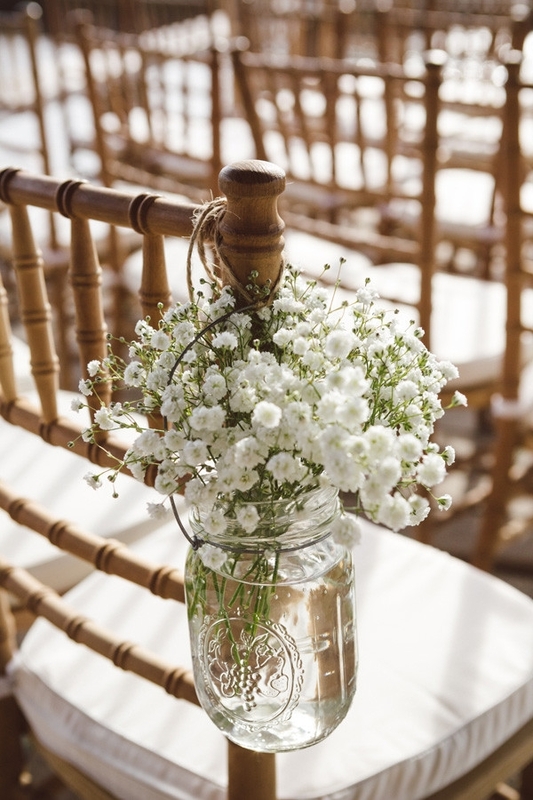 The jar is filled with delicate blossoms and crystal clear water. It does indeed look mesmerizing. 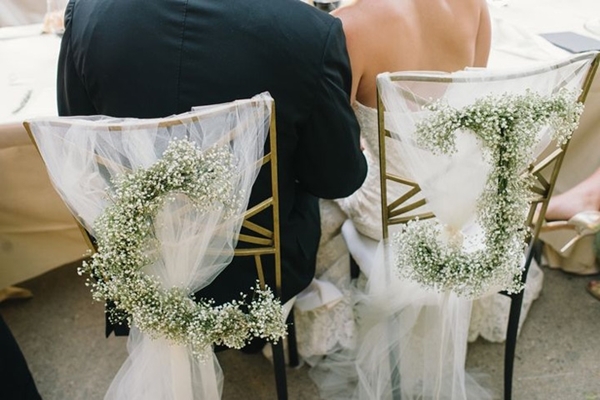 You must see these lovely wedding anniversary quotes that will melt your heart. 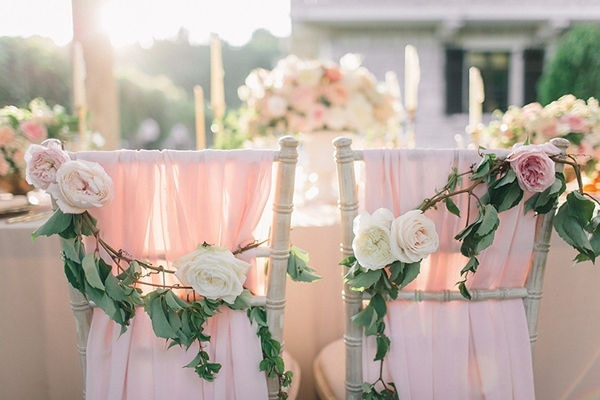 How to choose perfect chairs for your wedding day? 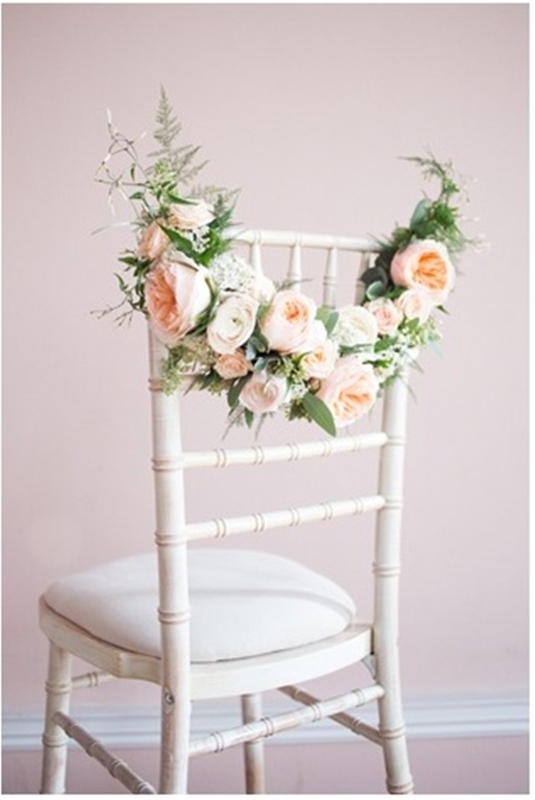 Deciding the perfect wedding chair is not that easy as you may think. Just like designing a perfect wedding card is not easy, but you can take a look here to relieve yourself from one more tension. 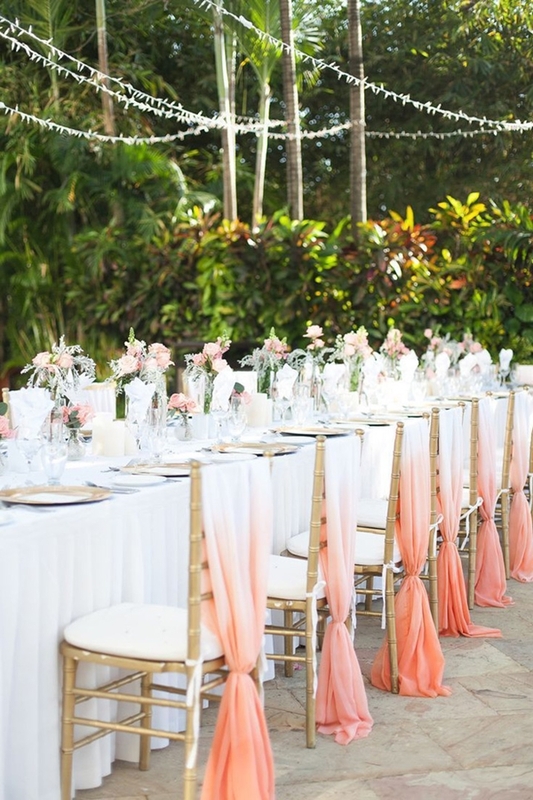 Back to the chairs and they should be complementing the surrounding décor and so deciding which type of chairs you want is quite significant. 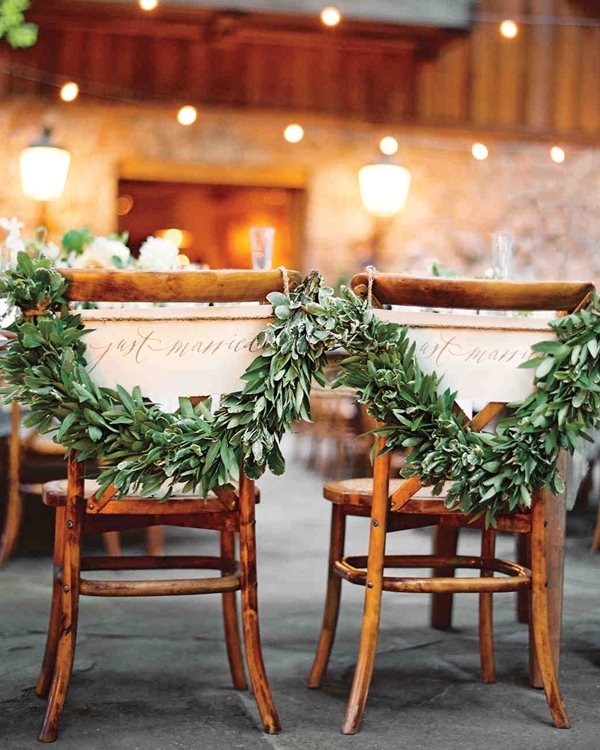 One of the most popular options of chairs is the walnut bentwood chairs. 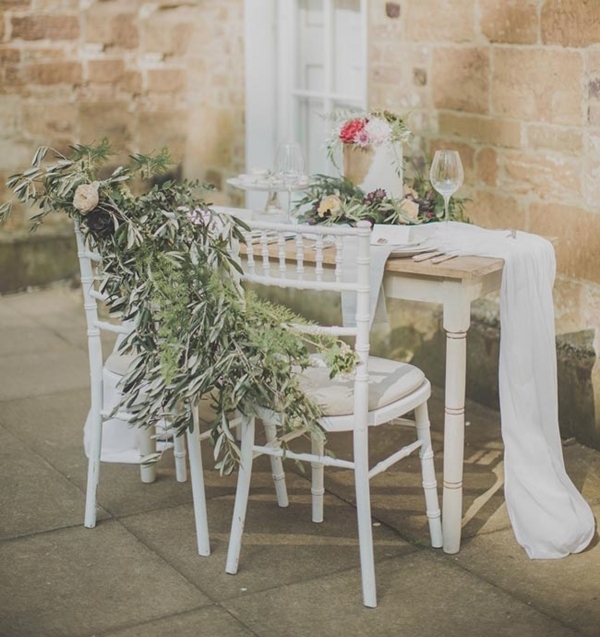 Another most preferred option is the white bentwood chairs. 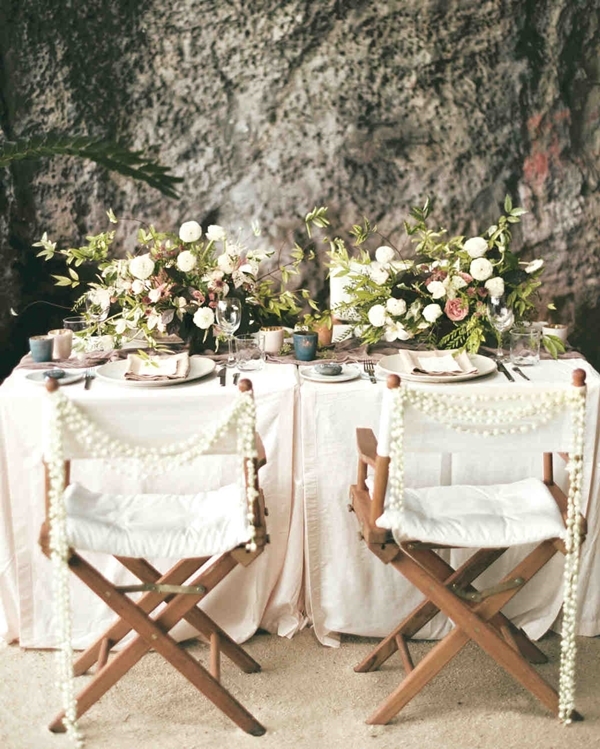 The walnut chairs look great when paired with earthy tones and the white chairs look great with pastels. 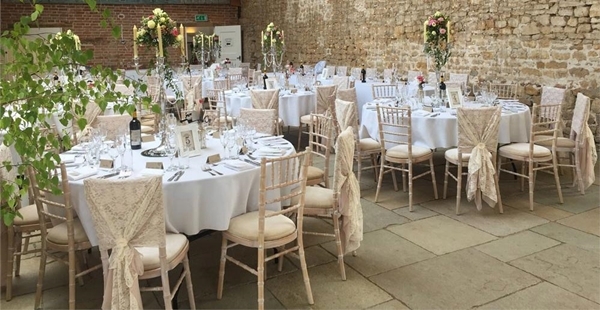 Couples aiming for elegance can go for Tiffany chairs and you have quite a few options when it comes to the colours for these chairs. 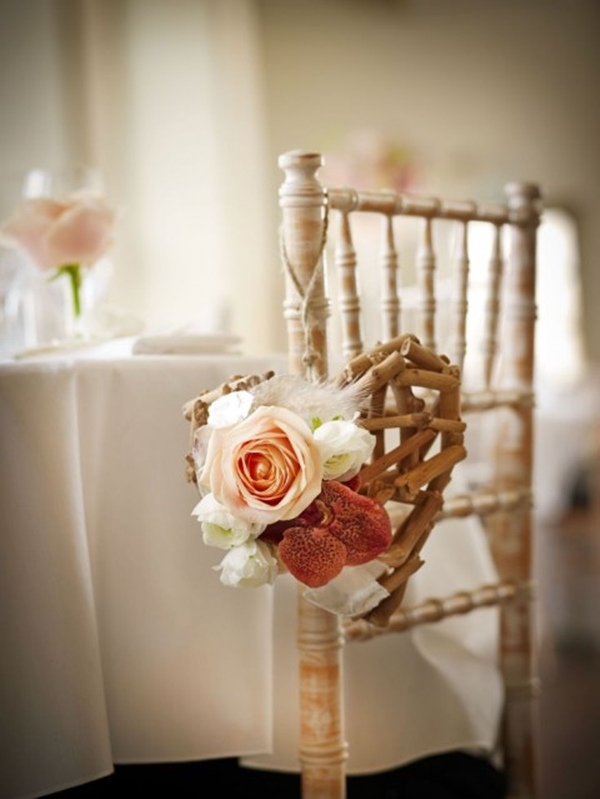 For country-style weddings or rustic themes, you can try the lovely French bistro chairs. 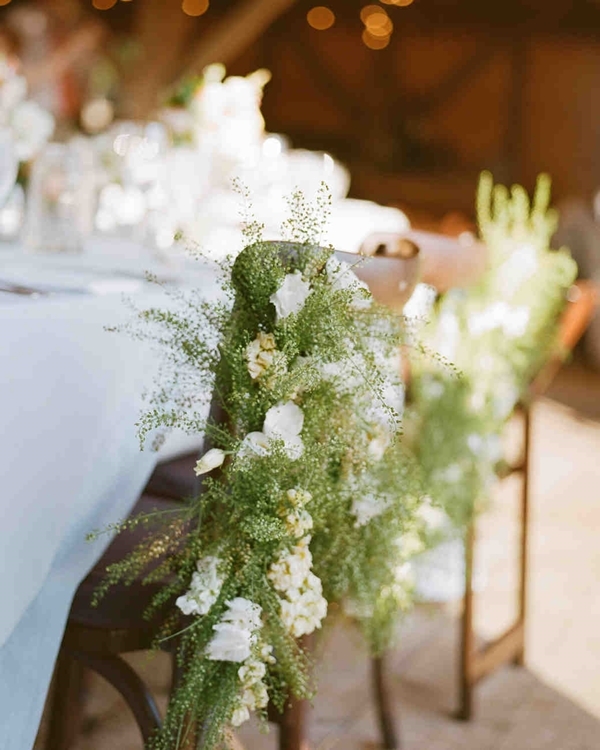 Use these lovely centerpiece decoration ideas for the wedding. 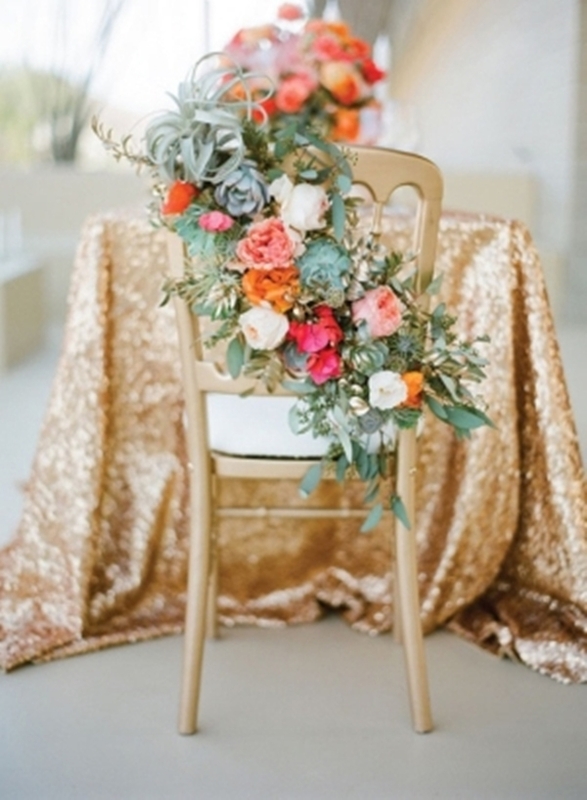 The florals and fabric are mostly used to decorate not just wedding chairs but most of the other things as well. And the great thing is that there are so many different types of fabrics to choose from. The lace is definitely an elegant choice. 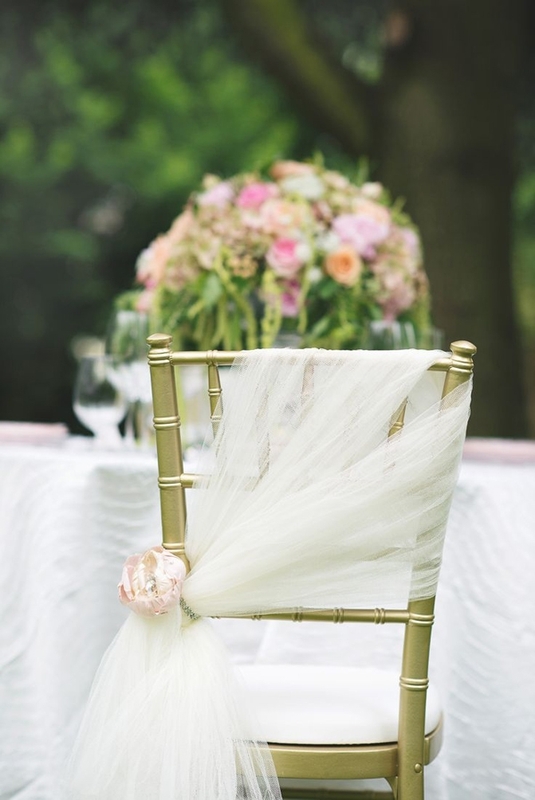 Tulle is another great choice. 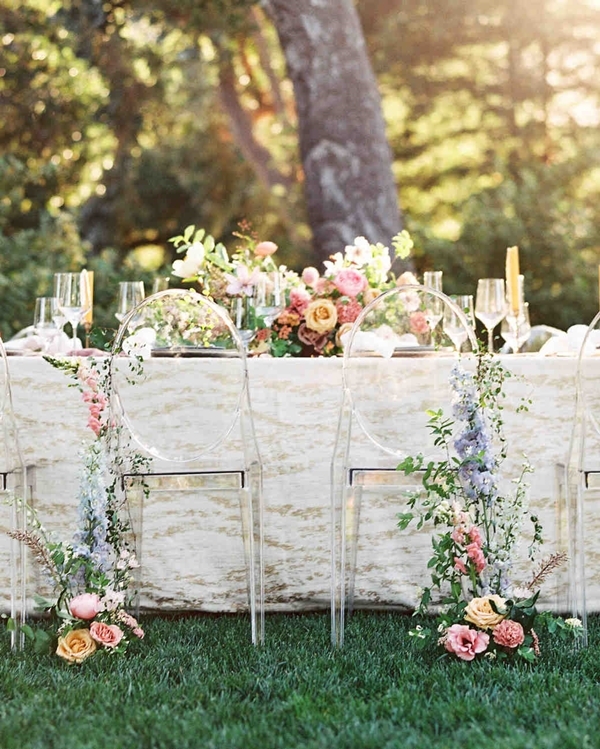 The sheer fabric looks really great and adds some florals to it and you wouldn’t need to think again. 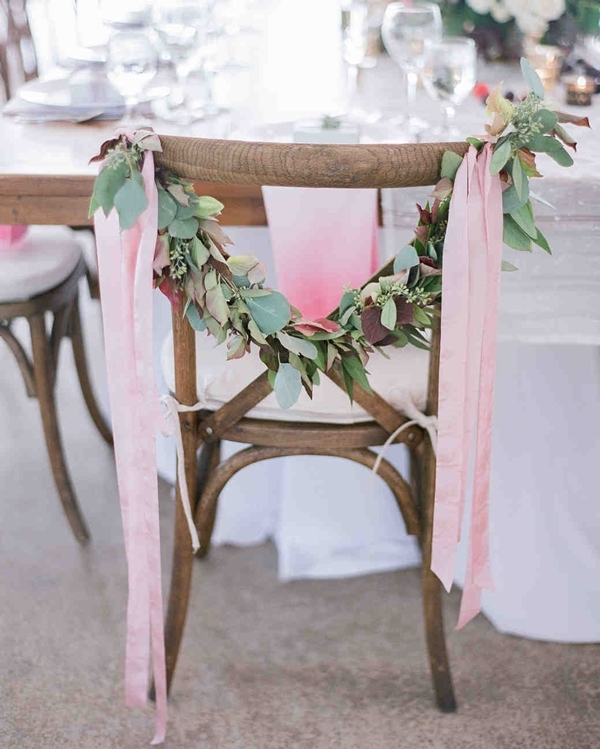 Burlap is another great choice for a rustic theme and satin is another lovely choice. 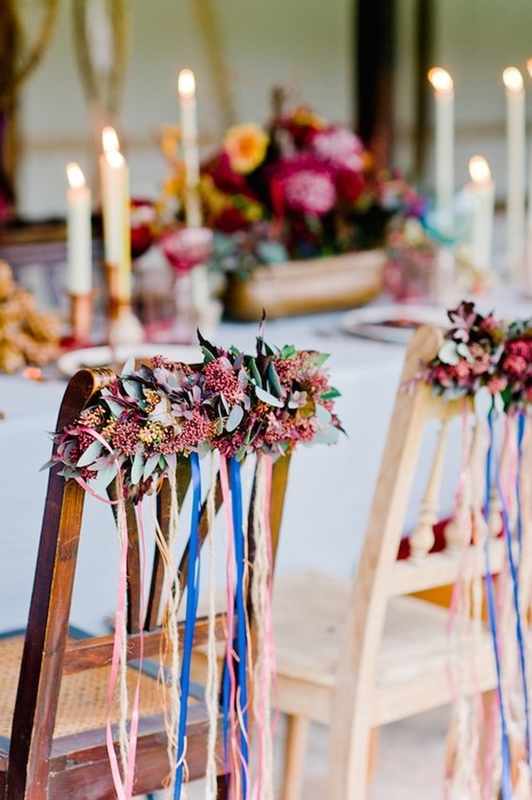 You could try fabric florals or paper flowers as well. For something new and unique, try strings of pearls with satin bows. 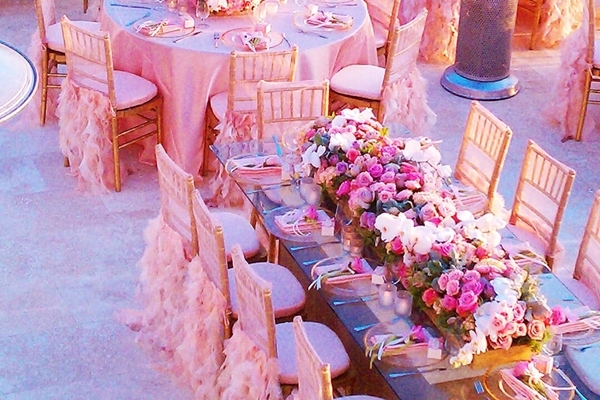 Make the aura more romantic with these heart throbbingly beautiful wedding decoration ideas. Now that you have seen so many options, which one are you going to choose? 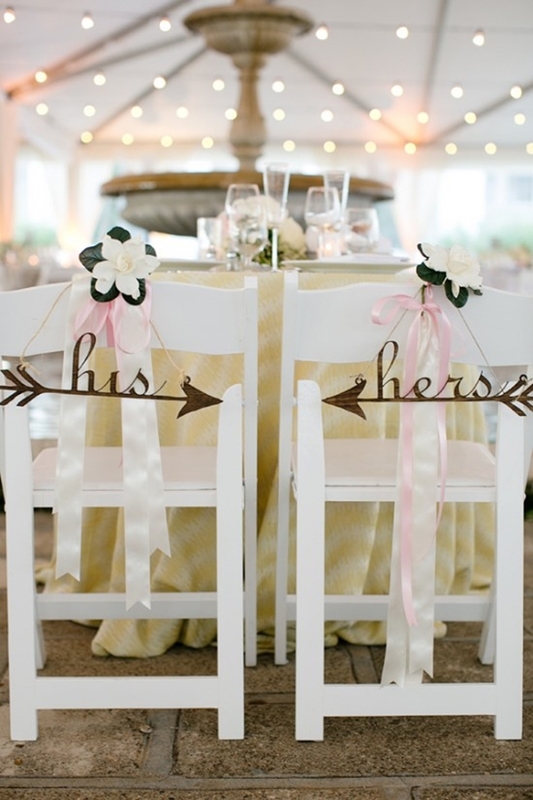 Because here are some lovely wedding banners for you to choose from as well. Whichever you choose, it will definitely look good. Just chill and enjoy your big day!